Alumni from Shorewood High School's Class of 1963 made a $2,500 donation to Shorewood High School to support the renovation of a new collaborative space for students. 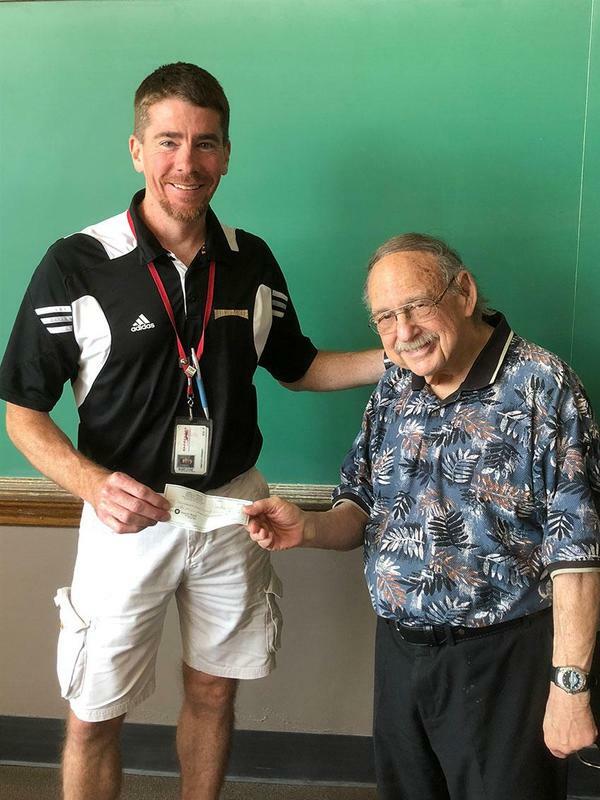 Shorewood alumnus Larry Lapidus presented a check to SHS Principal Tim Kenney on behalf of his Class of '63 classmates (see photo). The SHS graduates raised the funds at their 55th reunion event, which took place over the summer. The new space at Shorewood High School, located on the second floor of the main academic building adjoining the library, is being transformed into a new collaborative space for students, teachers and classes. The purpose of renovating the room, which was previously a computer lab, is to introduce an open and flexible space where Shorewood students can collaborate and create in a non-traditional classroom environment. The room will be equipped with new furniture, dry erase white boards, dividers, and table tops to allow students to work collaboratively when designing a project or brainstorming ideas. Small workspaces will be divided out and collaborative presentation areas will be enhanced by screen sharing monitors and tables with charging ports hidden within them. A larger, work area will be centralized in the room, comprised of two mobile reconfigurable tables. A less formal work area with soft-sided furniture will also be a unique feature of this room. "We are very grateful to the Class of 1963 for this generous contribution, which will help provide a great space for our students to work together," said Principal Kenney.